After 4 weeks spent backpacking Sri Lanka, we put together this ultimate guide. 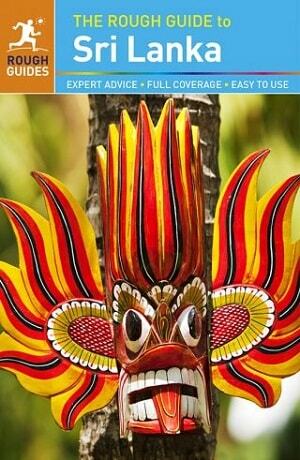 It contains everything you need to know for planning the ideal Sri Lanka itinerary! In 2018, we spent almost four weeks in Sri Lanka and instantly fell in love with the entire country. Including the people, the food, the culture and, of course, the breathtaking natural beauty. In our time there, we hired our own tuk tuk, so had the opportunity to visit all of the major Sri Lanka backpacking destinations available. Going from the bustling capital of Colombo, to the hill country of Nuwara Eliya and all around the gorgeous coastline destinations. 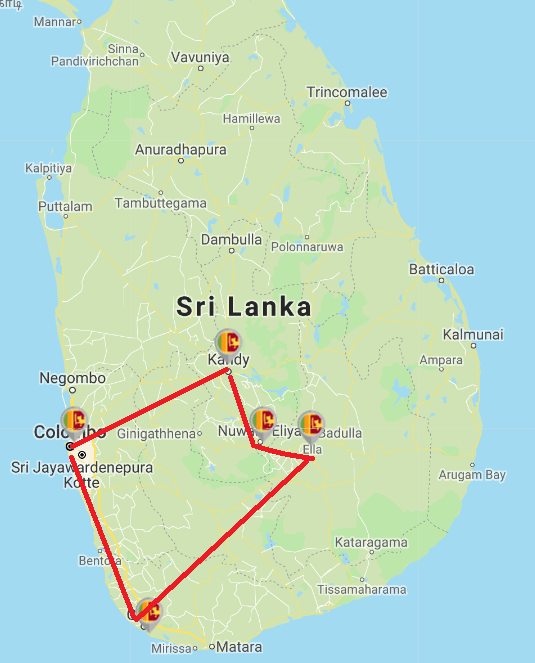 We also discovered a few places that probably aren’t worth stopping at and have put everything here together into, what we believe to be, the ultimate Sri Lanka travel guide. So, if you’re planning on backpacking Sri Lanka soon and are bursting with questions, then sit back, relax and discover everything you need to know, right here. They use the Sri Lankan Rupee (LKR). It’s a closed currency, so you can only buy it when you land in Sri Lanka. You have two main varieties: Plug Type D and plug Type G. If you’re from the UK, then this means you’ll find standard UK plugs in most places. 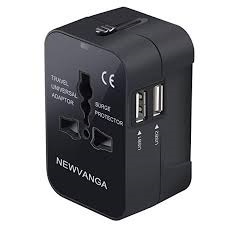 Alternatively, just pick up a universal adaptor, like this one, before you travel. These are available all over the country, and the Bank Of Ceylon and People’s Bank do not charge for withdrawals. There are lots of other banks that will charge, but these are two of the biggest banks. So you can find at least one of these ATMs almost everywhere. There are three main phone companies in Sri Lanka: Dialog, Airtel and Mobitel. The largest is Dialog and it offers the best coverage all over the country. It’s the sim we used and it’s super easy to set up. Head into any phone shop and they will get you sorted. All you’ll need to take with you is a passport. Data is super cheap and you can top it up by buying vouchers from supermarkets all across the country. There are a variety of religions in Sri Lanka. The mains ones being Buddhists (70%), Hindu (12%), Muslim (7%) and Christian (7%). Up until 1972, Sri Lanka was under heavy British influence, and you’ll see remnants of this across the country (such as the tea plantations). Sri Lanka has only recently come out of a civil war that lasted from 1983 till 2009, The 26-year civil war was fought between the Sri Lankan government and the Liberation Tigers of Tamil Eelam (LTTE), also known as the Tamil Tigers. Sri Lanka used to be known as Ceylon, which is why you’ll see the word “Ceylon” everywhere. There is very little information about the war to be found in museums, but if you ask locals, then many will share their stories with you. Just be courteous as the wounds of the war are still very fresh, especially for families living in the Northeast of the country. Sinhalese and Tamil are the two official languages of Sri Lanka. You'll find that almost everyone speaks English as well. Before backpacking Sri Lanka, it’s recommended that you have protection for Rabies, Japanese Encephalitis, Typhoid & Hepatitis A. For up to date info, check with your nation's health bureau. If you’re from the UK, then use this resource. Sri Lanka isn’t a party destination like many other Asian countries. But that doesn’t mean there aren’t places to dance and have fun. If you are looking for party spots, then popular backpacking destinations like Arugam Bay, Mirissa and Unawatuna are your best bets. When dining out, It’s customary to tip 10%. If people are taking your shoes when you visit a temple, or are helping you in some other way, then a tip of 50 rupees is generally quite generous. Sri Lankans are, by nature, incredibly kind. So you’ll find that they oftentimes don’t expect money. This happened when three tuk tuk drivers helped us change the wheel on our tuk-tuk and then refused to take any money! Sri Lanka is an almost malaria-free zone, but it’s best to speak to your travel doctor to see if it’s still worthwhile taking anti-malarials. Generally speaking, Sri Lanka is a relatively safe country. However, you should still take all the same precautions you would traveling anywhere, like not going out too late on your own and always keeping an eye out for pickpockets. With regards to your health, don’t drink the tap water, it can make you very ill. And if you’re not used to spicy food, then start off with little spice to let your stomach get used to it. We go into more depth below about eating and drinking in Sri Lanka. "What are the best places to see in Sri Lanka?" I’ll quickly take you through every place we visited on our trip, including one place we didn’t visit that you might be interested in! 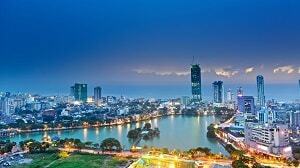 Colombo is the capital of Sri Lanka and it’s a typical, polluted Asian city. It’s worth staying a night to gather any supplies you may need for your trip. Or to get a driving licence if you’re going to drive a tuk tuk. It’s also a necessary place to be if you need to extend your visa. Other than that, get out as quick as you can. 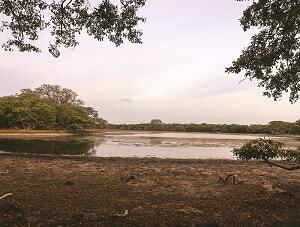 Wilpattu is most famous for its national park. It has a high concentration of leopards, so lots of people head here to partake in a Wilpattu safari experience in the hope of seeing leopards. You also get the chance to see sloth bears, elephants and much more. 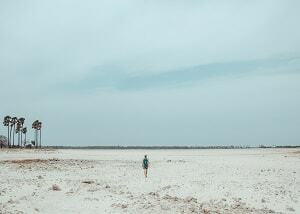 The dry season is a good time to visit. You can get here via bus, taxi or tuk-tuk. If you want, you can also stay in nearby Anuradhapura and get a tuk tuk or organised tour to the safari park. This is a key cultural zone of Sri Lanka and holds high historical importance in the country. It’s bursting with world heritage sites and significant temples, stupas and much more. You buy a pass that allows you access to all the sites. It’s around $30 for a day pass, but all the sites are spread out so you will need a bike, or tuk tuk to get from each one. You can negotiate for a driver to take you for the day for around $20. The thing about the sites is that, there’s no ticket entrance with someone checking your tickets. It’s only if you randomly get stopped will they know if you have a ticket or not. As such, you could take the risk, but if you get caught, I’m not sure what the penalty is. You can also visit here without seeing the “typical sites” that cost money. That’s what Brad and I did and we still saw a lot. This is located in the North of Sri Lanka and we wanted to visit here to find out about the war and history of Sri Lanka. Unfortunately, it doesn’t provide any information or insight. Also, the area was heavily affected by a tsunami in 2004 which killed 30,000 people. As such, there are some things to do in Mullaitivu, but not a lot. In our opinion, we just wasted a lot of time going there. Jaffna is the most northern point in Sri Lanka and, whilst we haven’t been there ourselves, we have heard decent reports. Again, there isn’t much information on the war, but it’s got some pretty temples, a massive public swimming pool and cool markets. 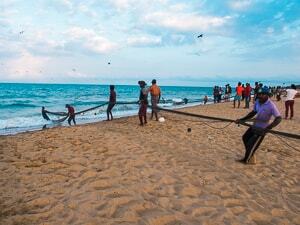 The East coast of Sri Lanka is home to the beautiful beaches of Trincomalee. If you’re looking for some great accommodation, sun, sea and good food and drink, then this is the spot for you. It’s also famous for its snorkelling opportunities. You have nearby Pigeon Island which offers affordable chances to learn how to dive and spot whales. This is by far one of the best places to visit when backpacking in Sri Lanka. 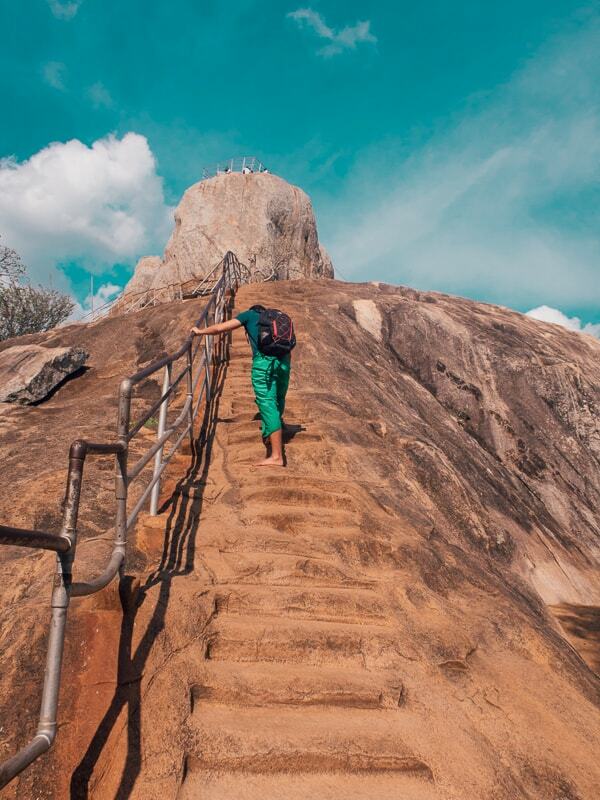 Sigiriya is home to the famous world heritage sight of Lion's Rock. There’s a $30 entrance fee which is quite steep, but totally worth it in my opinion. Just head out early in the morning in order to beat the crowds. There are other climbs available as well, and you can partake in a safari in the area too. You can also take a quite trip to Dambulla in order to see the cave temples. 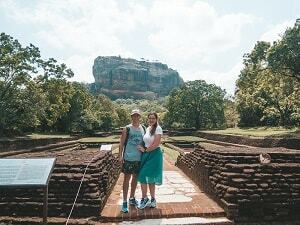 For more info, check out Brad’s guide on the best things to do in Sigiriya. Kandy is the starting spot for the “hill country” experience of Sri Lanka. It’s home to some beautiful sites including the Royal Botanical Gardens and the Big White Buddha. You’’ also find the Temple of the Tooth, which supposedly houses Buddha’s tooth. It’s from Kandy where you can take the famous “Kandy to Ella train ride”, supposedly one of the most beautiful journeys in the world. Our guide on the best places to visit in Kandy will give you a better run down of all the wonderful things to see and do here. 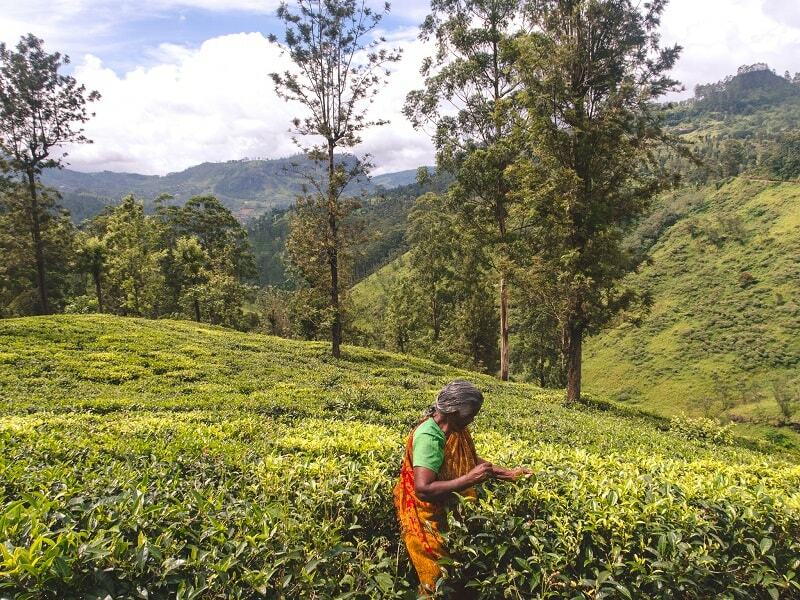 Once you start heading into Little England, you’ll be greeted by beautiful green surroundings, amazing tea plantations and cold weather. There are lots of incredible things to do in Nuwara Eliya. Including visiting waterfalls, going boating and even playing golf. You can hike World’s End from here and head to Adam’s peak (the highest peak in Sri Lanka), depending on the season. This is the most popular spot in Sri Lanka for backpackers, and it’s no surprise why. It’s beautiful, cooler and it’s got some fabulous sites. Including Little Adams Peak, Ella Rock and an assortment of waterfalls. It’s got a great atmosphere and lots of bars, pubs and coffee shops. Looking to get your surf on? Then head to one of the world’s most famous surf spots. It’s so good, that a number of Red Bull surfing competitions are held here as well. Whether you’re a pro, or you just want to learn, there will be waves for you. Due to its popularity, it’s also a good backpacker town with lots of pubs, clubs and chances to party. But don't worry, there are plenty of other fun things to do in Arugam Bay besides surfing. 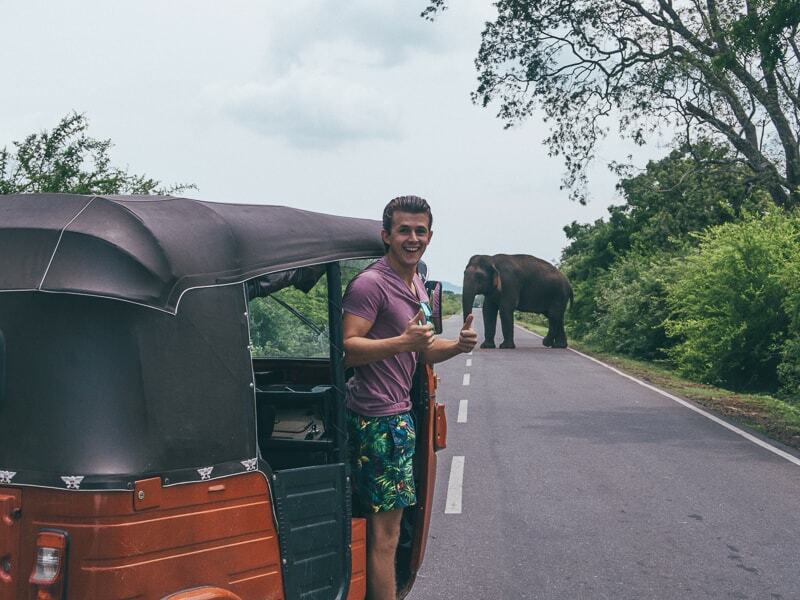 Such as heading on a tuk-tuk safari to spot some elephants. Mirissa is famous for its fabulous beaches, surfing and whale watching opportunities. It’s a great spot to relax, party and surf. It’s a great “holiday” destination in Sri Lanka. In fact, if you’ve only got a week to spend in Sri Lanka, then it’s not a bad place to base yourself. From here, you can go on day trips to a couple of national parks and also visit Unawatuna. 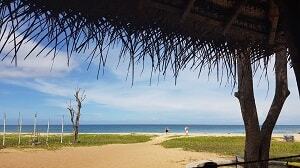 This is, without a doubt, one of my favourite beach spots in Sri Lanka. There are so many incredible things to do in Unawatuna. Including, plenty of picturesque beaches and opportunities to go snorkelling. 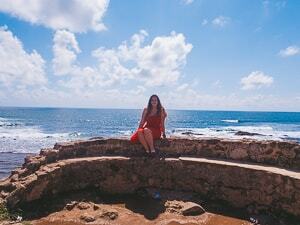 You’re also only 20 minutes from the Dutch fort in Galle. If you want to surf, the beginner and moderate waves here are also brilliant. In general, Unawatuna is a hugely popular holiday spot. There are literally hundreds of fantastic things to do in Sri Lanka! The hardest part of your trip will be deciding which ones you most want to do and trying to cram as many things into your schedule. Well, here's a quick rundown of our favourite 17 activities when backpacking Sri Lanka. 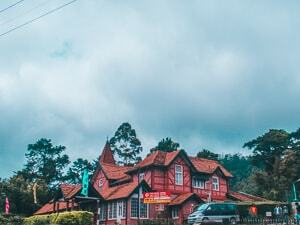 Nuwara Eliya is cool (literally, it’s quite cold!) so therefore tea grows well. Which means there are lots and lots of tea plantations. These are beautiful streams of green and they all have little tea cafes which serve the tea they grow for a super cheap price. I could spend all day visiting tea plantations in Nuwara Eliya and not get bored. Bradley made the most of the trip to try and hone his surfing skills. Unfortunately, we just missed the main surf season in Arugam Bay, but still found some beginner waves. However, we had better luck in Mirissa and Unawatuna, both of which offer great waves from October onwards! It’s also incredibly cheap to learn to surf in these areas. If you’re interested in catching some waves yourself, check out this guide on the best surf spots in Sri Lanka. 3. Or, how about bodyboarding? Bodyboarding is possible in most seaside destinations. But is definitely one of the easiest, family-friendly things to do in Mirissa. The waves here are perfect and it's incredibly cheap. It costs about 300LKR for 1 bodyboard for an hour. 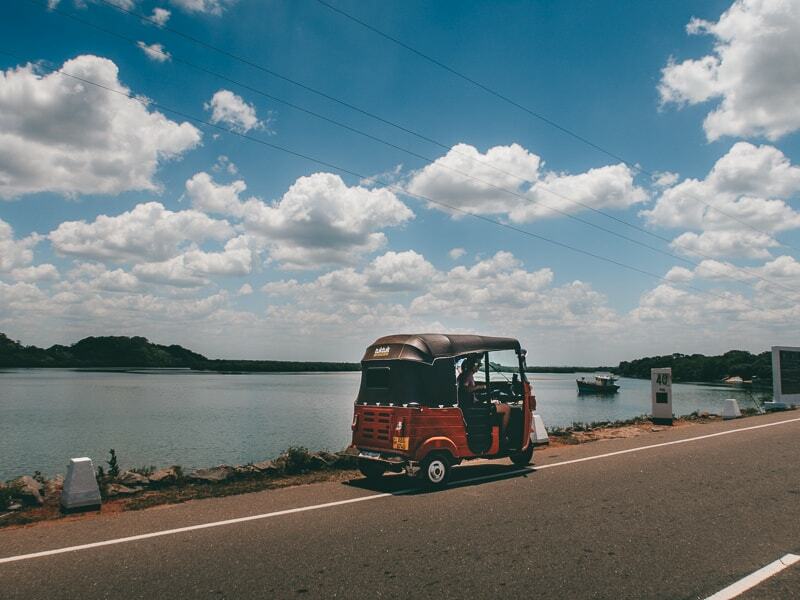 Without a doubt, the best part about backpacking Sri Lanka was the freedom offered by driving our own tuk tuk. It was crazy fun and actually felt safer than any other mode of transport. The locals loved it and we got to experience so much more than we would have via bus or train. Plus, how many people get to say they’ve driven their own tuk tuk around an entire country? Lion’s Rock is located in Sigiriya and is a fantastic experience. The views from up there are brilliant, as is the historical significance of the place. We recommend going super early to be the first ones up there, otherwise it gets really busy and very warm. 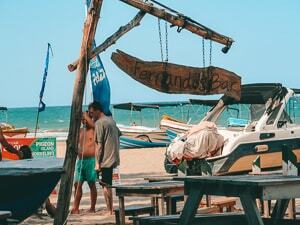 Fernando's Beach Bar is located in Trincomalee and it’s got the perfect beach vibe. Chilled music playing, cheap happy hour drink deals, great food and it’s right on the beach. It’s a perfect spot to just relax and catch a tan. If you want to meet other people, then here is the place to do it. Again, one of the advantages of having a tuk tuk is the opportunity to spot wild elephants. We love elephants, so much so that we DO NOT RIDE THEM (hint, hint). So spotting them in the wild is where I like seeing them best. We got to see lots of animals on our drive to Kataragama. One massive one took up the road and we weren’t too sure if we could get by him! Just remember, though they are used to human, they are still wild, so could attack if you give them reason to. This was a sad but important experience for us when backpacking around Sri Lanka. I love dogs and, the one thing that was really upsetting throughout Sri Lanka was the amount of dogs that are abandoned. We did our best to help by feeding the ones we found and giving them some love and attention. But the dog population is more than the human population so there isn’t much you can do. However, the Dog Care Clinic in Unawatuna is one great place really making a difference. Anyone can go visit the dogs and donate. Our Wilpattu National Park Safari with Big Game Camp was certainly one of the highlights of our trip. We had the chance to dine under the stars, stay in a luxury tent and head out on a half day safari. Here, we got to see elephants, sloth bears, spotted deer and much more. It was truly a wonderful experience and is definitely one of the best safaris in Sri Lanka. 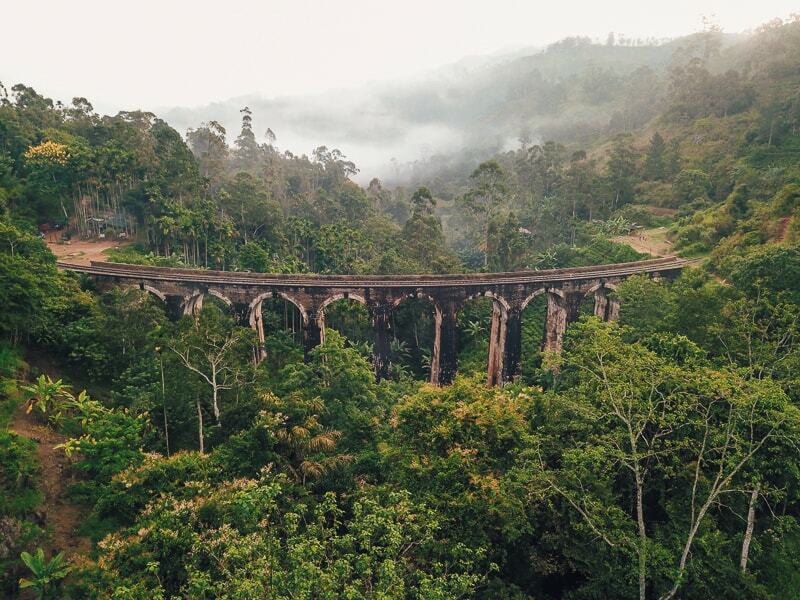 As a result of the influence the British had in Sri lanka, the Nine Arch Bridge is part of the railway system they helped build. It’s truly beautiful and I think part of that is to do with it’s stunning surroundings. Thankfully it’s not been “westernised” yet and it’s a lovely place to visit. If you want to get your pictures without anyone in them, then head up in the morning at sunrise (Having a tuk-tuk makes this possible!). Adam’s Peak is the highest mountain in Sri Lanka and it’s actually a pilgrimage site for many religions, with hundreds of steps leading up to a temple at the top. You should only climb it certain times of the year when the conditions are right and it’s well lit. You need to leave super early in the morning in order get there in time for sun rise and it’s 2,243 metres in height. Worlds End is located in Hortons National Park and it's the “end of the world” because it’s a massive viewpoint overlooking the park. You can only see the stunning views in the morning. Otherwise the place is covered in fog and mist and you see nothing. So, you have to leave very early to make it worth it. There are a couple of elephant orphanages in Sri Lanka. They take abandoned and harmed elephants and look after them. Therefore it’s a place that I like. If you want to see baby elephants then you can find them in Pinnawala Elephant Orphanage. 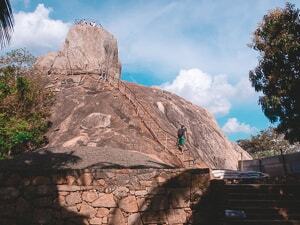 Mihintale peak is supposedly where Buddha flew over from India and landed in Sri Lanka, thus bringing the religion to the country. It’s very windy up there, but well worth the visit! And is just one of many awesome places to visit in Anuradhapura. There are lots of brilliant snorkelling spots in Sri Lanka. So whether you’re just starting your love for snorkelling, or have been at it a long time, then here are some places to try. It’s incredible value for money and is actually one of the best spots in the world to learn how to dive. It is not the only spot in Sri Lanka to learn at, but is perhaps the cheapest place to get your official diving certificate. So if you have three or four days to spare, then get your license under your belt and take part in some amazing dives all around the country. 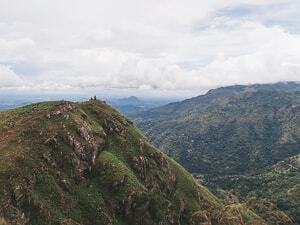 There are lots of hiking spots in Sri Lanka for you to try. Below I highlight some of my favourites and where they are located. Adam’s Peak: This is located next to a place called Nallathanniya in which you can find accomodation before or after your trek. I think the easiest detour to slot this into would be after Nuwara Eliya as it’s only around a two hour journey. This is a sunrise hike which means you need to start around 2 am. Ella Rock: Ella Rock is another sunrise hike and it’s just one of the many scenic things to do in Ella. It offers beautiful views once you reach the top and you don’t need a guide to do this hike. It’s around a 3 hour hike from the Ella train station. Wear long trousers to avoid leeches. World’s End: The World's End hike in Hortons National Park is another “early rise” hike. But this is due to the extreme mist and fog that forms after 8-9am. You can no longer see anything, not just there, but in the whole surrounding village and towns. But, if you hike early, you’ll be greeted with a beautiful view. It’s about $25 to enter the park. When you enter you head left and you’ll meet Little World’s End first, then World’s end, then you’ll loop back and can stop at Baker’s Falls. If you’re interested, this is a pretty good guide to Hiking World’s End. Unfortunately, we couldn’t do it ourselves as my bloods were super high, so I was very sick. Welcome to the joys of being type 1 diabetic! Little Adam’s Peak: If you don't have the time to visit big Adam’s Peak, then Little Adam’s Peak can do the job. It takes around 20 mins from the bottom to climb up and it’s just a steep incline. It can be tiring in the heat, but really isn’t that long. The views are totally worth it, and when you get there, there should be a man selling coconuts for cheap. Be sure to get one and enjoy the view. Better yet, it doesn’t cost to hike up here. A good tip is to go before midday when the rain makes an appearance. All around Ella you can create your own “hiking” trails. Alternatively, you can hike to many of the wonderful Nuwara Eliya waterfalls. 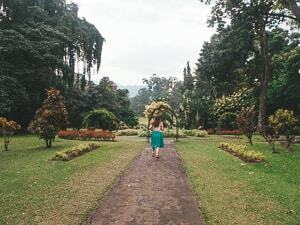 Some are quite far from town, so you’ll be walking through beautiful tea gardens. Don’t forget to stop at Mlesna Tea Castle for a cuppa and a brilliant view! Check out our guide on the best things to do in Sri Lanka for more than 50 awesome ideas! Ideally, as long as possible! We had 4 weeks in the country and that was about enough to see many of the most popular places. We would have stayed longer, but our visa run out! Either ways, here’s a range of Sri Lanka itineraries, ranging from 1 week to 4 week routes through Sri Lanka. If you’ve got around 4 weeks in Sri Lanka, like we did, then I don’t recommend you add in too many places. 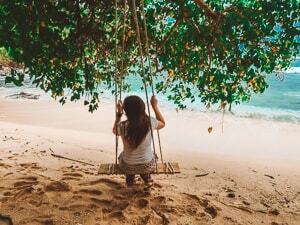 Rather, I suggest that you head around the three week Sri Lanka itinerary a little slower. It gives you a chance to enjoy it more and spend an extra day in your favourite places. 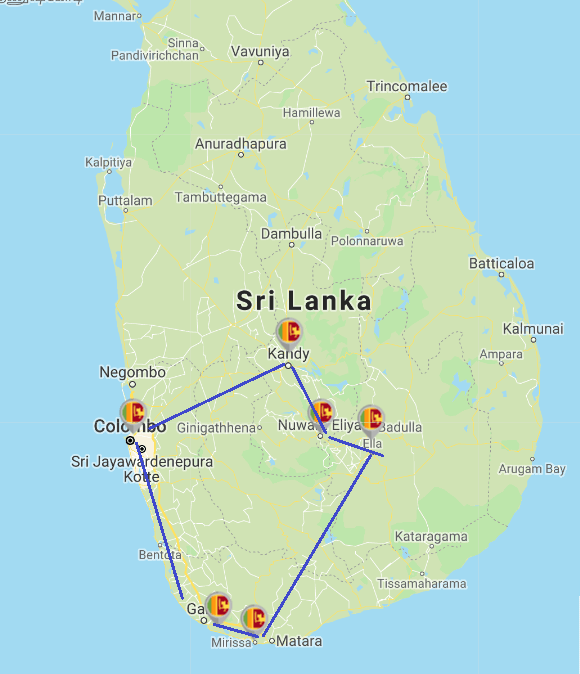 Or, if you really want to add in an extra destination, then 4 weeks in Sri Lanka would allow you to head up to Jaffna too and explore the north of the country. 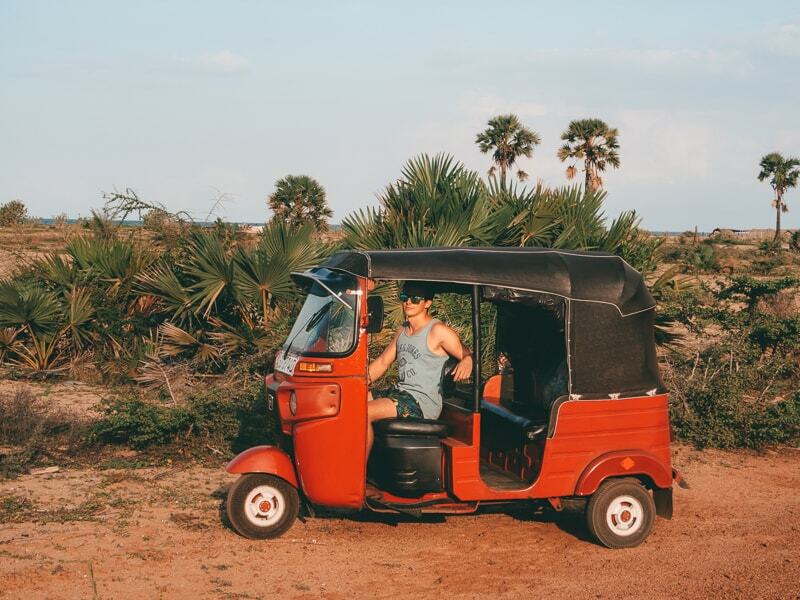 Remember if you want to try a different safari experience other than Wilpattu you’ve got lots of choices including Udawalawe National Park near Mirissa area, and Yala National Park near Arugam Bay. I recommend checking out the detailed 3 week Sri Lanka itinerary post we wrote. It gives you an in-depth overview of how to make the most of your time in the country in 21 days. If you’ve only got a week in Sri Lanka (you’re going to want to return … trust me! ), then you need to sick to one basic area. 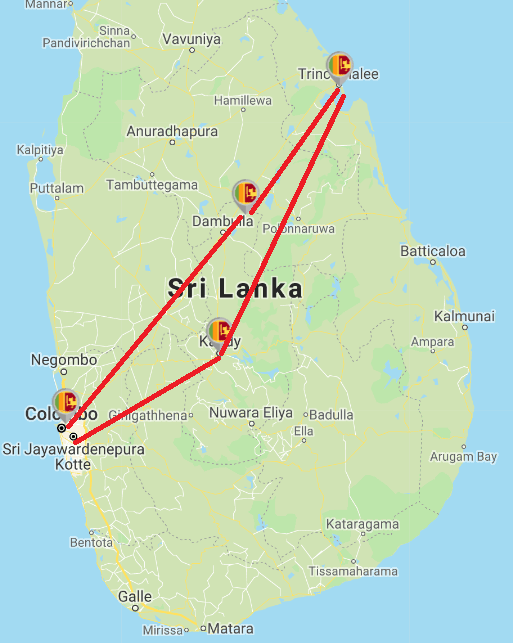 Here are a few of my best suggestions for a 1 week Sri Lankan route. 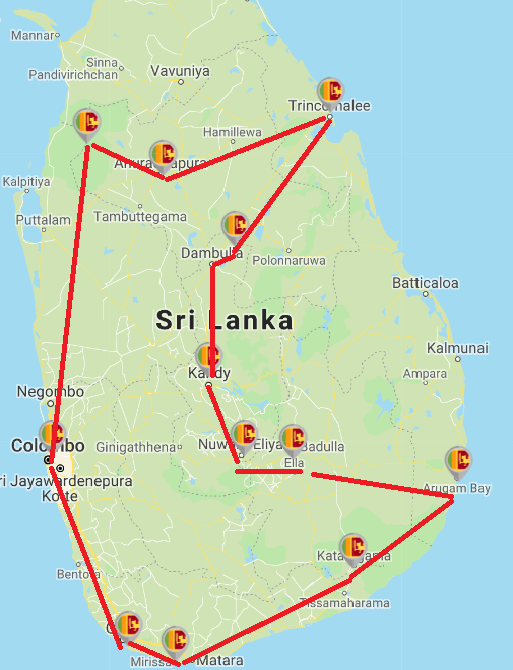 If you’re looking for a Sri Lanka route that covers the world heritage sites and historic places, then this a good route to take. 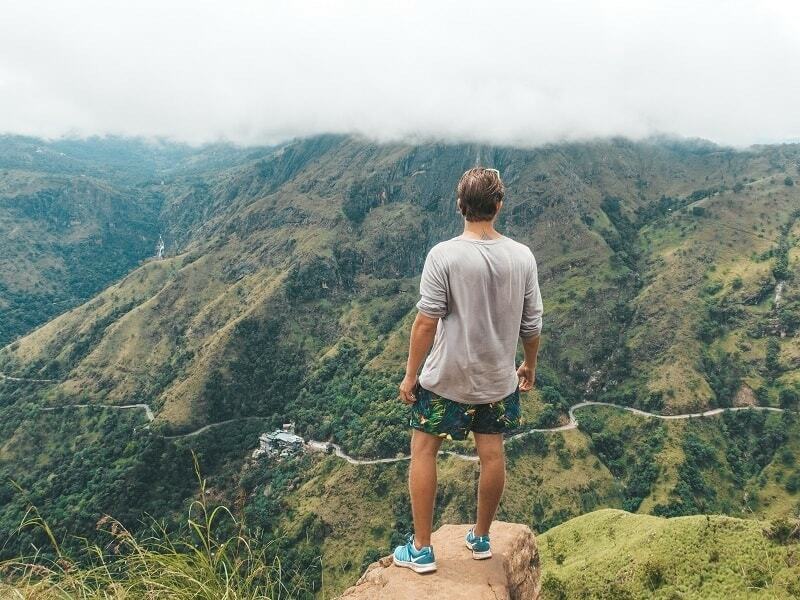 Regardless of which Sri Lanka backpacking itinerary you opt for, you’re going to experience some amazing things and you’ll want to return as soon as possible. Depending on what you wish to do there, the best time for you backpacking Sri lanka might vary compared to someone else. Regardless, you need to be aware that there are two monsoon seasons that run throughout the country. 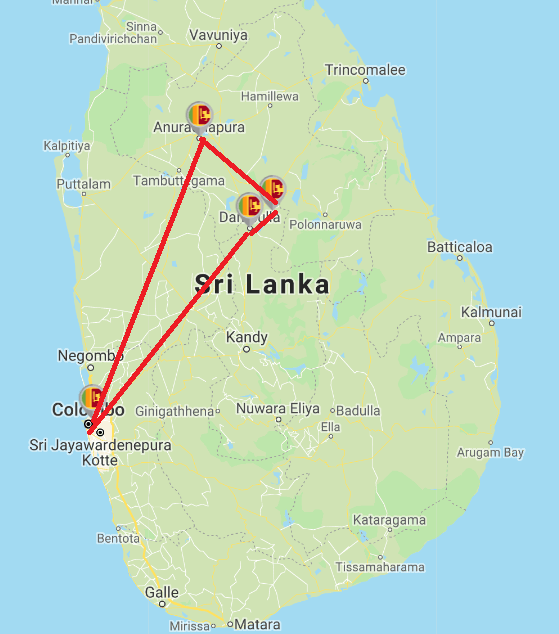 If you want to visit the West and South coasts plus the hill country (Ella/Nuwara Eliya), then you should head the some time around December to March. Or, if you’re wanting to check out the East coast, the best weather is from May to September. Sri Lanka in September is almost off peak for one-side of the country, but starting to peak for the other side. So, if you want to head everywhere, go between September and the start of October. That’s what Bradley and I did and with our 4 weeks in Sri Lanka and we managed to avoid monsoons (give or take 1 or 2 days) and catch the sun! People often ask what Sri Lanka is like in August. Well, it’s busy around the Arugam Bay area because it’s peak season there. So, if you do visit then, be sure to take a trip to Yala National Park as it’s perfect that time of year. Unless you are from the Maldives, Seychelles or Singapore, you will need a visa for Sri Lanka. You can get your visa very easily via an online process as its an electronic visa. It costs $35 for all countries, apart from the SAARC countries for which it costs $20. This visa lasts 30 days and you can extend in Colombo for up to six months more once you arrive. The cost Sri Lankan visa extension fees vary. Some countries are significantly cheaper than others, but you can find your country and price on this list here. How Do You Get To Sri Lanka? So, by now you must be truly in love with the country, unable to hold in your excitement about backpacking Sri Lanka! So, how do you even get to Sri lanka? Well, you used to have 2 options: aeroplane and boat. However, the boat service from India has now been suspended indefinitely. Either way, flying would still be the easiest and most convenient way to get to Sri Lanka. 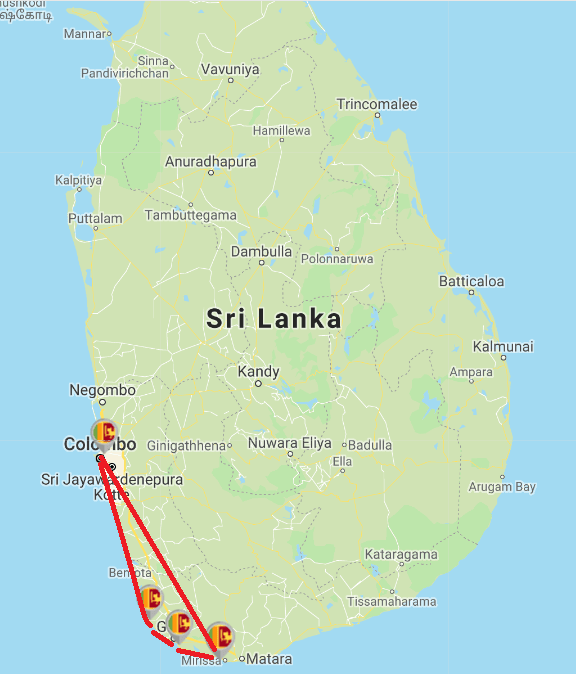 You can purchase direct flights which run with Sri Lankan Airways from the UK to Colombo, but it’s also very easy to get a connecting flight (which is what Brad and I did). I recommend using Skyscanner to get the best prices. You can set up Price Alerts in order to stay up to date with when flights are cheaper. It will be more expensive to fly during peak season, which is from June to August. We flew in September and the flights were quite reasonable. Flights from the UK seem to range from £250 - £500. It all depends on when you visit and whether you’re booking one way or return. When it comes to navigating your way around, Sri Lanka is pretty straightforward. This is because it’s a relatively small country which is easy to get around in a month or less. You have a few transport options. The country is filled with bus routes, including both local public transport and tourist options. It’s hard to get information of bus timings online, but you can simply ask your hostel or hotel. Alternatively, check bus times at stations when you get there and book your departure bus there and then. Generally speaking, buses in Sri Lanka are old, slow, cheap and don’t have aircon. 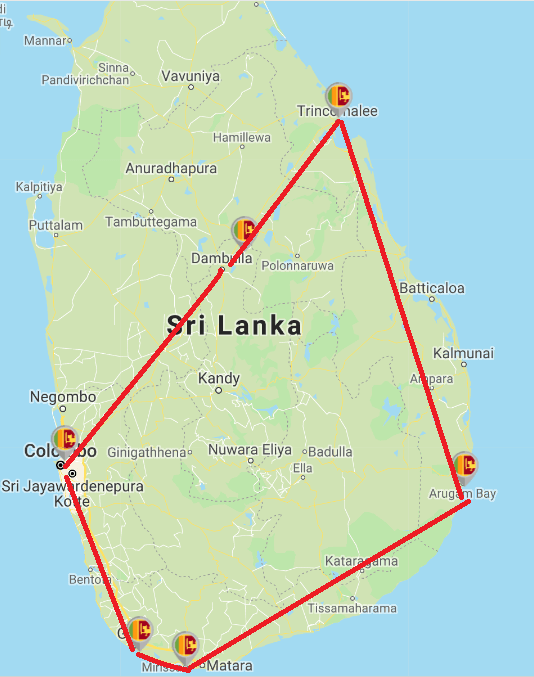 Due to the British influence in Sri Lanka, they have a very well connected train system that will take you all throughout the country. Train travel is super cheap, especially if you travel on the lowest class. 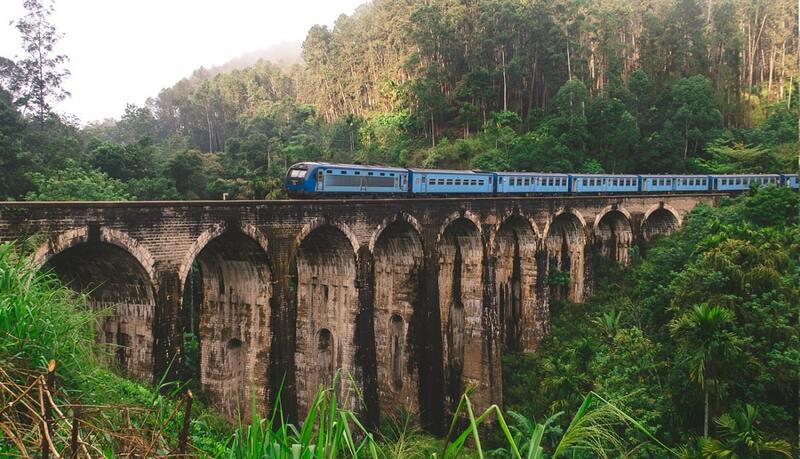 You won’t need to prebook tickets, unless you’re taking the famous “Kandy to Ella” scenic train ride. This route tends to fill up quickly due to its popularity. Sri Lanka has its own version of Uber called PickMe. You can arrange drivers to take you throughout the country at quite reasonable prices. In Colombo, you can make use of Uber (which is what we did all the time), and you can take the Uber to any destination in the country. Again, for reasonable prices, but you will need to start your journey in Colombo as this is where Uber is based. You can actually fly within Sri Lanka with Sri Lanka Airways. However, it’s certainly not cheap and there aren't many airports to choose from. You now have the option to drive your very own tuk tuk around the country. Bradley and I decided to do this because it would allow us the freedom to create our own route, not have to worry about trains or buses, go off the beaten track and get to interact with the locals. For a 28 day rental, our tuk tuk cost us $18 dollars a day. This included insurance, a driving lesson and spare parts etc. We used an official company to rent, who are part social enterprise. They don’t own any of the tuk tuks they rent, they belong to the tuk tuk drivers, so half of what you pay goes to the tuk tuk driver. You can find out all about our experience here. In recent years, the number of people backpacking Sri Lanka has grown massively. In fact, we believe it's set to become one of the world’s hottest backpacking destinations! As such, you’ll find that most of the major towns and cities have started to see a huge rise in the amount of hostels and hotels being offered. So, we decided to help you out and save you spending hours and hours searching through all of them in order to find great deals (like we did!). We have compiled all of our research into helpful guides that list the best accommodation options in each of the major Sri Lanka backpacking spots. If you want to find the best deals in Sri Lanka for accommodation, we recommend using Booking.com above and beyond all other search tools. We used Booking.com allover Sri Lanka as they always offer the lowest prices and have the biggest range to choose from. Sri Lankans are quite laid back and you won’t be offending anyone by showing your shoulders or knees. As long as you aren’t doing so in a temple or religious place. If you are visiting Arugam Bay, however, you can’t wear a bikini on the street. And it’s expected that you cover up as it’s a highly Muslim area. Overall though, you mostly need light skirts, dresses, tops and shorts. If you head up into the hill country (Kandy, Ella, Nuwara Eliya), I’d have a jacket packed too. Weather: Sri Lanka has a warm climate that can reach up to 40 degrees Celsius in the Summer months. During September to October, when we were there, the average was about 29-30 degrees. Here is a thorough list of everything we took to Sri Lanka (plus a few extra things you might wish to take). A decent backpack should last you for years, so buy with that in mind. Also, it's going to get battered around a lot, so make sure it's built to protect all of your stuff! 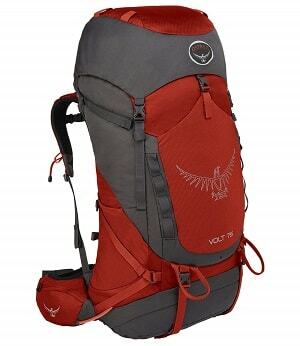 By far the best travel rucksacks we've come across are from Osprey. We've used the same Osprey bag ever since we started backpacking 3 years ago, and it's in perfect condition still. You’ll be doing plenty of sightseeing, so good, comfortable shoes are a must. Cazzy recommends Skechers Go Walk: “I have a red pair and, as you’ll see from my pics, they are what I wore almost everyday!" 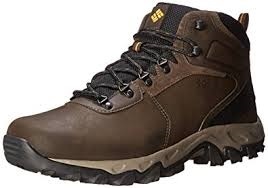 Proper hiking shoes do take up quite a lot more room in your backpack, but are essential if you intend to do heavy amounts of walking most days. Again, a decent pair should last you for years, so be sure to get a good quality pair. Ideally waterproof, like the ones linked to here. Bradley swears by Reef Flip Flops and has taken a pair of these everywhere around the world. Sure, you can pick up a pair for $2 or $3 in Sri Lanka and they’ll do the job fine. 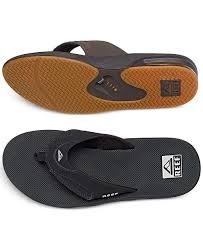 But Reef sandals can withstand heavy walking and use for a good couple of years. Plus they’re much comfier! You’ll need a good quality jacket if you’re visiting the hill country, as it will be much colder than the rest of Sri lanka. The jacket linked to here is very lightweight and can be stored at the bottom of your rucksack for whenever you need it. 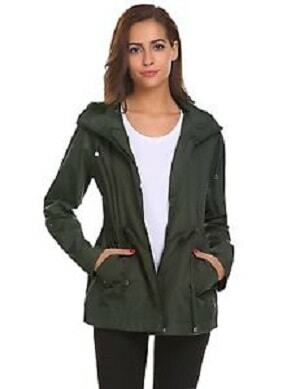 Great for when the weather is a bit colder and you’re out for a morning hike. 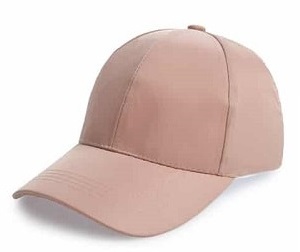 Also, you can wear them whenever you visit temples and need to cover up. These are perfect for keeping cool in the heat. They also look great and are super lightweight so can be folded up and stored away in your bag without taking up too much room. This is a must have in Sri Lanka! Mosquitos come out around sunset and, trust me, they will find you and bite the crap out of you! So pack deet! 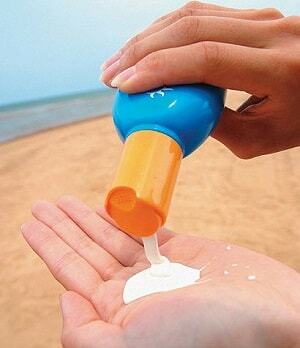 When a country knows you need sunscreen, they hike up the price, so I would bring enough with you. And yes, you should be wearing it regardless of your colour or skin type. 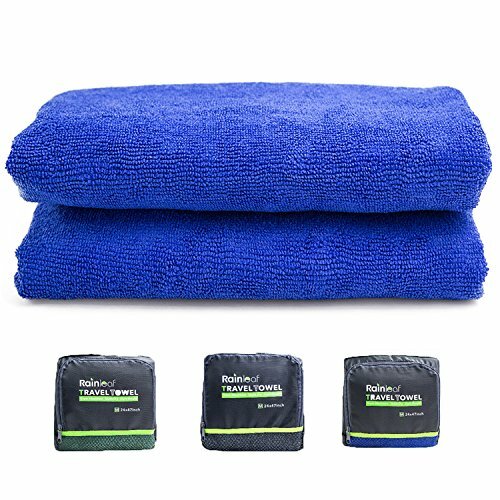 If you’re living the hostel life in Sri Lanka, then a quick-drying, microfiber towel is always your best bet. 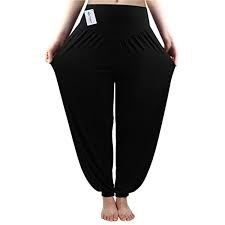 Also, it’s small and can be conveniently packed away on day trips to waterfalls or the beach. Each of which you’ll find loads of in Sri Lanka. You can use this in almost every destination around the world. A must have for all your gadgets! Whenever you visit a new country, it's always great to have a book or two with you that you plan to work through during your time there. Regardless of whether that book is a travel guide, a book on the nation's history or just some general fiction that ties in nicely. So here's a few recommendations of what you might want to take with you and read during your time backpacking Sri Lanka. 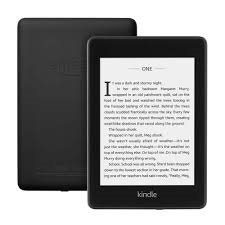 Rather than carrying around actual books, a Kindle is a far more practical item to have with you, and you can download as many books as you want for just a few dollars each. The Kindle Fire also lets you browse the internet, so saves you taking a tablet with you as well, if you're that way inclined. 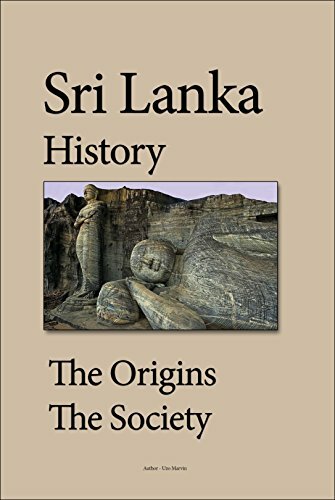 If you're keen to learn more about the history of Sri Lanka, then this is a great book. 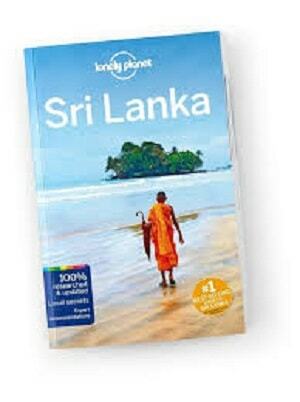 It covers everything through from ethnical origins of Sri Lanka's population, all the way up to modern day tourism. Personally, we always opt for Rough Guides as opposed to Lonely Planet. They do some great itinerary and off-the-beaten-track suggestions. So, if you’re looking for more travel inspiration, then go for Rough Guides. 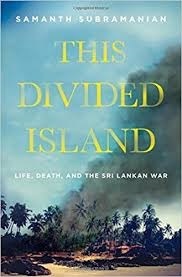 This Divided Island is an incredibly popular book that has been nominated for, and win, some very highly praised awards. It offers deep insight into what life was like during the recent Sri Lankan civil war. 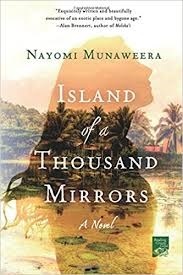 Island Of A Thousand Mirrors looks at the deep rooted conflict that exists between the Tamil and Sinhalese peoples of Sri Lanka. It does so through the eyes of two young girls, each of whom who come from a different cultural upbringing but still wish to remain friends despite their differences. Sri Lanka cuisine is quite similar to Indian cuisine, with one noticeable addition ... coconut. You’ll find delicious curries, noodle dishes and fish dishes, all of which are very popular. Breakfast usually consists of “hoppers”, which is a pancake-type food, and sometimes comes with egg in the middle, wood apple or even coconut. The most common and cheapest food in Sri Lanka is called “Roti”. It’s basically a bread type dish, and its typically served with some form of vegetable or meat. Kottu Roti is the “chopped” up version of Roti and it’s SO delicious. I recommend a chicken, cheese and avocado one. It’s very cheap, around $1.50-$2 and it’s super filling. Whether you’re on a budget or not, you should eat Kottu Roti. I’m actually craving it now after writing about it. If you’re a fussy eater, you can find typical chains like KFC and Pizza Hut (very popular and cheap in Sri Lanka) in popular tourist places. Vegans and vegetarians will be accommodated well in Sri Lanka. There are lots of options, and in popular Sri Lankan backpacking spots like Ella, there are dedicated vegan restaurants. Coffee is widely available, but tends to taste better at “modern” coffee shops. You won’t find a Starbucks in Sri Lanka. Be sure not to drink water in Sri Lanka, unless it comes from a sealed bottle of water. Similarly, avoid ice unless you are sure it comes from frozen mineral water. This shouldn't be a problem in western cafes and restaurants, but might be an issue in smaller local establishments. As mentioned earlier, alcohol isn't that cheap to buy in Sri Lanka, and there isn't a massive drinking culture in the country. However, you can still pick up affordable beers and cocktails in popular backpacking spots. During happy hours you can usually get beers for $1-$2 and cocktails for $2-$4. Uber: Uber is almost worldwide now and provides so much convenience. It also helps you avoid getting ripped off. You can use Uber in Colombo and a few other popular tourist spots, such as Ella. PickMe: This is like Sri Lanka's version of Uber. It’s available throughout the country but is also most popular in Colombo. Airbnb Experiences: I won’t recommend Airbnb for general short stay accommodation in Sri Lanka. Although, you can find some cool deals if you book well in advance. But what they do offer a good list of experiences, which includes things like surfing, food tours and hiking. I like these because they’re all run my locals which I think gives you a much more authentic experience. You’re overall budget in Sri Lanka will depend on the type of traveller you are. You could easily get by on $50 per day for two (less if you’re really strict). Bradley and I stuck to a budget of around $28-30 each day, our costs were a little higher than usual because we decided to rent a tuk tuk to get around the country. But other than that, we stayed in rooms that always had air conditioning and we ate at cheap to mid-range restaurants every day (scroll back up to find info on accommodation in Sri Lanka). This budget also included drinks as we enjoyed cocktails on occasion too. Food in Sri Lanka is both delicious and cheap.You could spend anything from $1 to $10 depending on what you want. If you go western food, then naturally it’s going to be a bit more expensive. But you will be eating in a VERY nice place if you’re on the higher end of the budget. Even the TGI Friday’s in Sri Lanka is ridiculously cheap. Perfect for us as we hunt these out everywhere we go! It’s a good way to judge the cost of food if you look at the prices of an American chain like TGI Friday’s and The Hard Rock Cafe! If you are sticking to bus and train travel, then it will only cost you a couple of dollars per trip. Even first class isn’t overly expensive. Your travel costs will mount up if you’re using taxis to get from place to place, or domestic flights. Tuk tuks in cities are cheap. The general rule is take the price the driver has quoted you and cut it by 25% to 50%. Or, use Uber to get an accurate idea of what you should be paying. Alcohol isn’t that cheap in Sri Lanka, due to the fact it’s a strongly Buddhist country and the government taxes alcohol a lot to try and deter people from drinking. It’s actually illegal for women to purchase alcohol from an off licence. I’m not sure that applies to tourist women as I managed to buy alcohol whilst with Brad. You can also get cheap versions of vodka, gin and rum. It’s around $8-9 for a big bottle. Wine is super expensive and you won’t get it cheap anywhere. Happy hours are popular in areas like Ella, Arugam Bay and Mirissa and you can get great deals on alcohol. Some cocktails come in at $1.75 a drink, and they’re strong! So, you can find ways to party and get drunk if you really want to. They also have their own beer, which is cheap: it’s called Lion Beer. If you’re coming from the UK, you can bring 1 litre of alcohol in with you. So if you want you could bring some wine or spirits into the country to save on cash. But obviously you’ll be carrying it around with you, unless you drink it really quick! No Sri Lanka travel guide would be complete without delving into one of the hottest travel topics going ... drones! We have a beautiful DJI Mavic Pro, he’s called “Baby Mavic”. We took him all across the country and did a lot of research prior to arriving. And here's the number one thing we discovered: it is incredibly unclear what the rules are! From what we can make out, it can cost hundreds of dollars to get some sort of permit. However, as of writing and after speaking to drone groups in Sri Lanka, there is no clear route to getting a permit and no timeline with which it can be processed. When bringing your drone into the country, make sure it’s all separated in your rucksack. This makes it harder to detect. Ask locals if it’s okay to drone. 90% will say yes. Drone from your hotel. We couldn’t drone in Wilpattu National Park (national parks are illegal to drone in). But our hotel located next to the park, basically in a jungle too, were more than happy for us to drone there (we could take pictures of their camp too), and we got some really cool footage. Locals near waterfalls were also more than happy for us to drone, we took photos with them and showed them how it worked. It was really cool! Drone early in the morning. If there is a nature site you really want to drone, then head early before anyone is there. It depends on the “officer” whether they’ll let you drone or not. Sri Lanka can have grey areas when it comes to stuff like that. Don’t drone where you really shouldn’t. Like if you do have the licence, that still doesn’t give you the right to drone over religious monuments etc, so don’t even attempt it without a licence. Don’t be afraid to drone. We got some awesome footage, and the area is so damn beautiful and deserves to be captured! Top tip: we use Revolut for all our travelling. It’s a travel card that offers the best exchange rate on the market, and you get fee-free withdrawals up to £200 each month. It also doesn’t charge you to send money, receive money, or use your card in stores. It’s excellent and we couldn’t travel without it. Also, don’t forget to get comprehensive travel insurance for your trip. If you’re type 1 diabetic, you can check out my guide to finding good value diabetic travel insurance. Or, if you’re a regular human being, then check out World Nomads for great value travel insurance.